Okay, so I really wanted to like this one more, but it just didn’t do it for me. I love a good twisted love story with depth – I even love a good Hallmarkish love story on occasion. 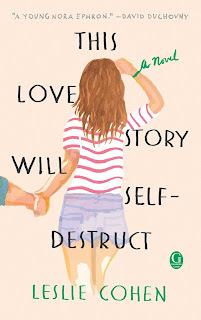 But, This Love Story Will Self-Destruct by Leslie Cohen was not one of those. Instead, it felt like a story I have heard over and over again. Damaged girl meets damaged bad boy = lots of chemistry. Girl comes to her senses. Girl meets a good guy, but because she doesn’t believe in happy endings, she screws it up. I feel like this is something that has been done multiple times before. I also was not a fan of the lengthy inner monologues. They did not keep me engaged and I found myself skimming each time one appeared. As far as characters, I was not a big fan of the main characters. The female lead annoyed me – and she did not act like many of the thirty-year-old women I know. (The story does begin in college, but by the time it ends, we are approaching thirty). 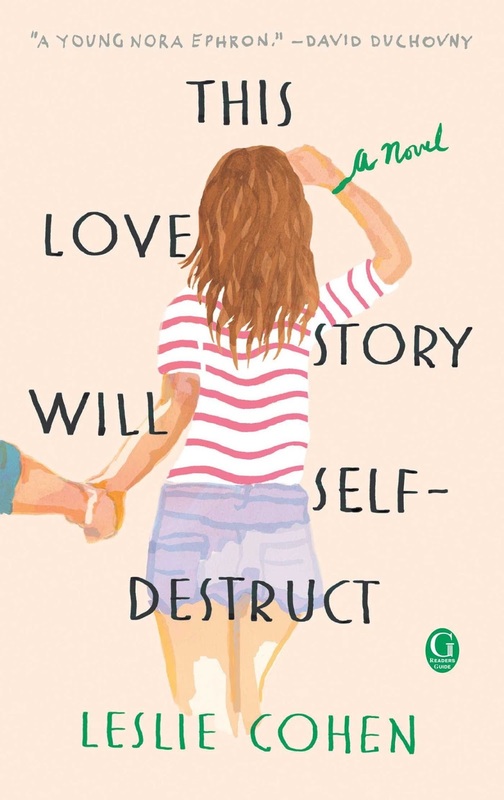 The one thing that did set this book apart is the added September 11th plotline. I did find this part of the story moving – and surprising. And, Cohen’s witty lines did make me laugh more than once such as when a character comments that two English majors should never be together. I won’t say you should not read it – because it certainly was not one I’d throw into a did not finish pile. I did read the whole book and enjoyed a lot of it. It just won’t say you need to rush out and buy or you have to read it. To be fair, I do think some of my followers would enjoy it.